Your web browser does not support iframes. Like us on Facebook to stay in the loop with Tri County CMO sponsored events! On December 7th, Tri County CMO and FSO held their annual holiday Open House at the CEA School in Flemington. 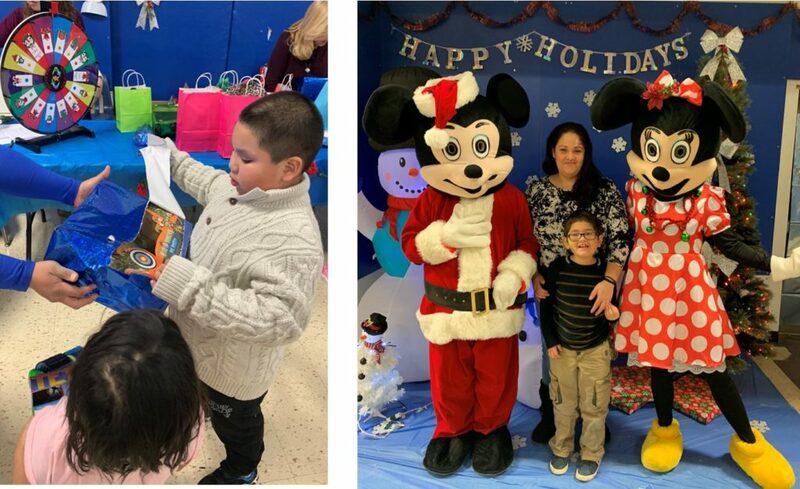 Families came together to share smiles, laughter, and holiday cheer with each other and special guests Minnie and Mickey Mouse. The sensory room offered activities such as a snowball dig, coloring, a snowball toss, and more. Dinner was provided, and families left with generous gifts. Invitations to our June 25th, 2018 11 AM – 4 PM Community Picnic at Forest Lodge, Warren, NJ are being extended to all youth receiving mental health, developmental disability, and substance use services in Somerset, Hunterdon, and Warren Counties. This invitation is also extended to all staff of children’s mental health services in the region, as well as our system partners (DCP&P, CMRSS, FSO, and Youth Partnership), respective CIACC (Children’s Interagency Coordinating Council) and YSC (Youth Services Commission) member agencies, tri-county NAMI, Intensive In-Community and Intensive In-Home provider agencies. Picnic fare will be offered along with a diverse range of recreational activities geared for the entire family. Come prepared for a fun day in the sun and bring along swimsuits, towels, sunscreen, water bottles, and hats. Parent/Guardian must attend (or have a responsible adult substitute) in order for their youth to attend. Transportation (intended for youth and families only) will be available from various locations throughout Hunterdon, Somerset, and Warren Counties. Please RSVP by June 18th. Note that we cannot guarantee ticket availability for RSVPs received after June 18th. You’ve been invited to attend our FREE Children’s Mental Health Awareness Day Event on Monday, May 7th, 2018. It will be held in the Grand Conference Room at Raritan Valley Community College. We are excited to announce that this event will feature Attitudes in Reverse (AIR) presenting on suicide prevention and awareness. AIR will be showcasing their “In Their Shoes” exhibit. All guests will be entered to win raffle prizes. Winners must be present at the time of drawing. Doors open at 5:30 for registration and program will begin at 6pm.